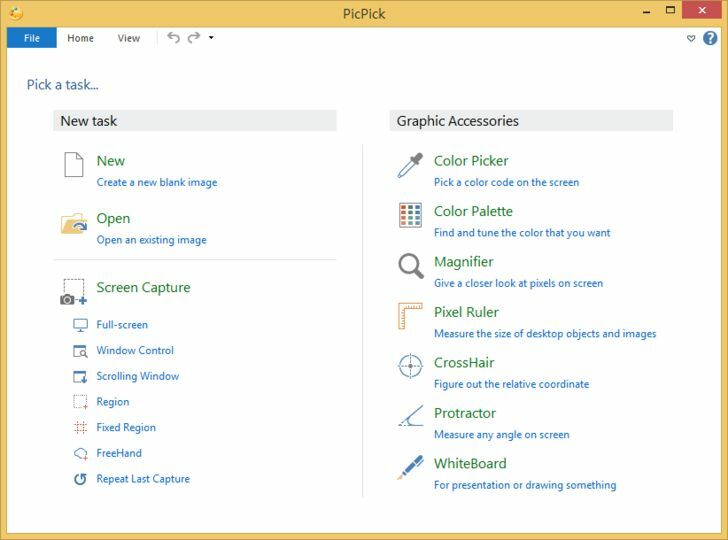 PicPick is user friendly and full of features for creating your image, suitable for software developers, graphic designers and home user. 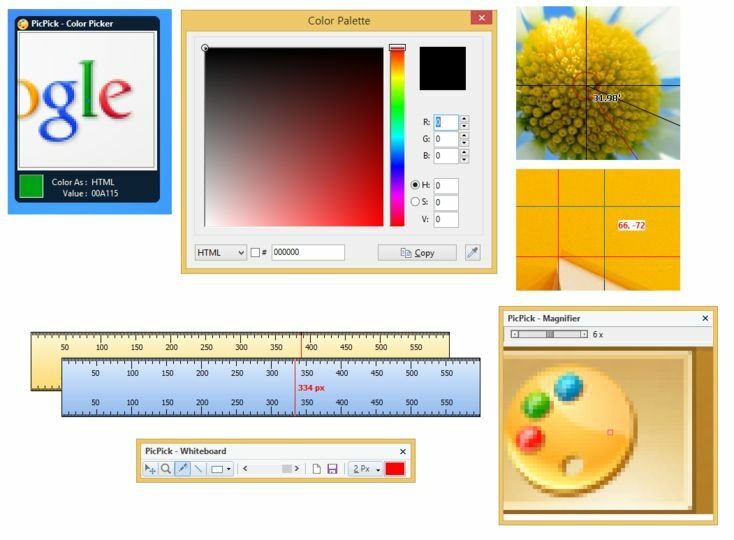 It is an all-in-one program that provides full-featured screen capture tool, intuitive image editor, color picker, color palette, pixel ruler, protractor, crosshair and even whiteboard. 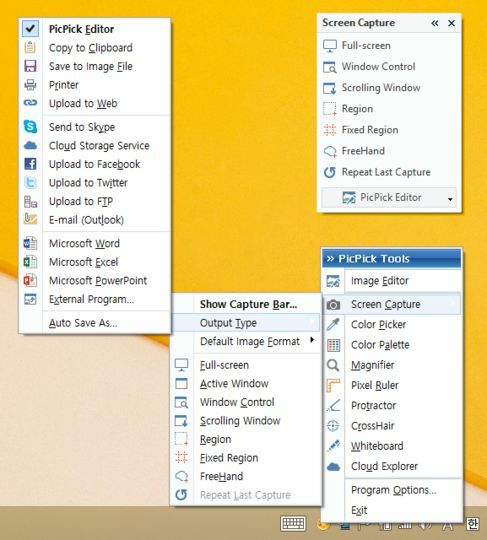 Various output to File, Printer, Office programs, External program. Blur, sharpen, hue, contrast, brightness, pixelate, rotate, flip, frame effect and etc. 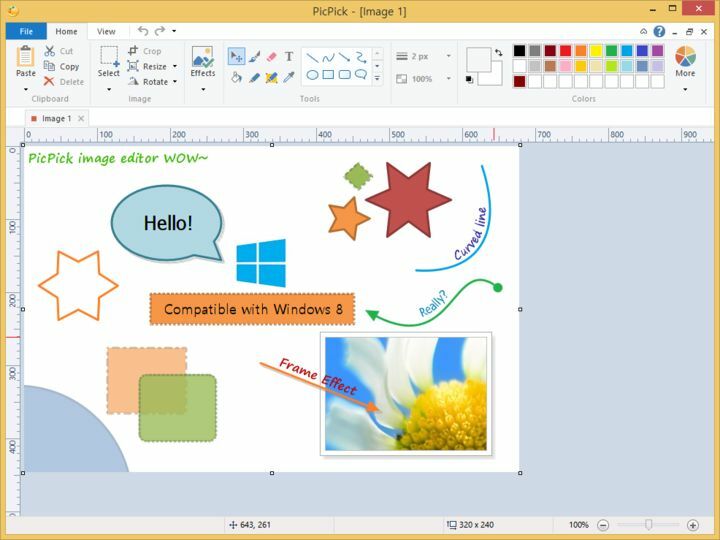 This software is provided as freeware for only personal use.